There sure are a lot of crazy, unique, and ethnically-inspired hamantaschen recipes out there. (Guava hamantaschen! Unicorn hamantaschen!) But one hamantaschen flavor really caught my eye recently: ube hamantaschen. 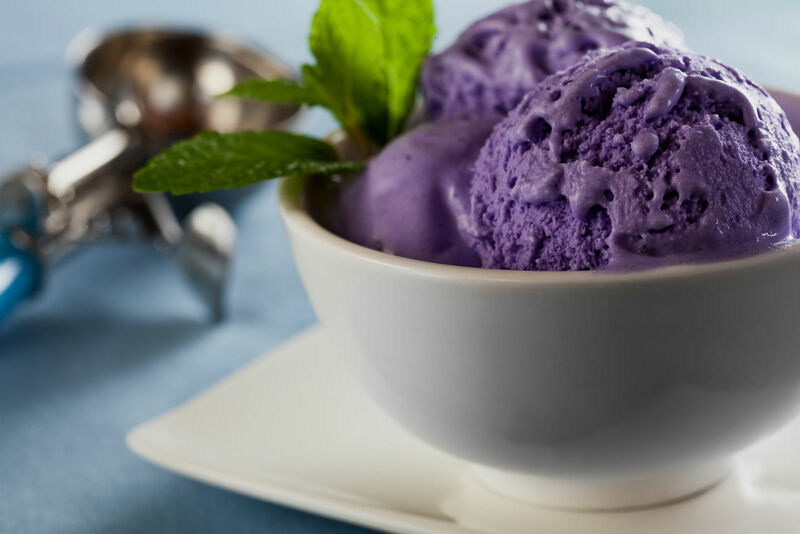 For those not familiar, ube is a purple yam that is a staple of Filipino cuisine and commonly used in sweet dishes, everything from the iconic Filipino shaved ice called halo-halo to American favorites like donuts and soft serve. I can vouch for its deliciousness in both halo-halo and soft serve forms. Rosa Leon Lumagbas grew up in the Philippines and later moved to the United States to attend college and pursue a degree in fashion. She ended up meeting a wonderful Jewish guy named Daniel and, not because of any pressure from him or his family, converted to Judaism. She told me that she didn’t grow up religious, and so she never felt she was losing anything, but rather enriching her life through this conversion. Her embrace of Judaism has allowed her to welcome all kinds of rich traditions, including baking hamantaschen. She’s tried a few different Filipino-inspired flavors, including tamarind which she told me was “a disaster.” But the ube hamanatschen were a winner. “I try to incorporate Filipino culture in my life and I find that doing so through food is one of the easiest ways. Making ube hamantaschen was about making something traditional but also tweaking it to reflect my own upbringing and where I came from. I used ube because it is a very lovely shade of purple, it’s delicious, and it’s one of the more well-known Filipino foods,” Rosa shared with me. Her ube hamantsachen are such a sweet, beautiful combination of her heritage and Jewish identity, and I am in love. How does she make them? 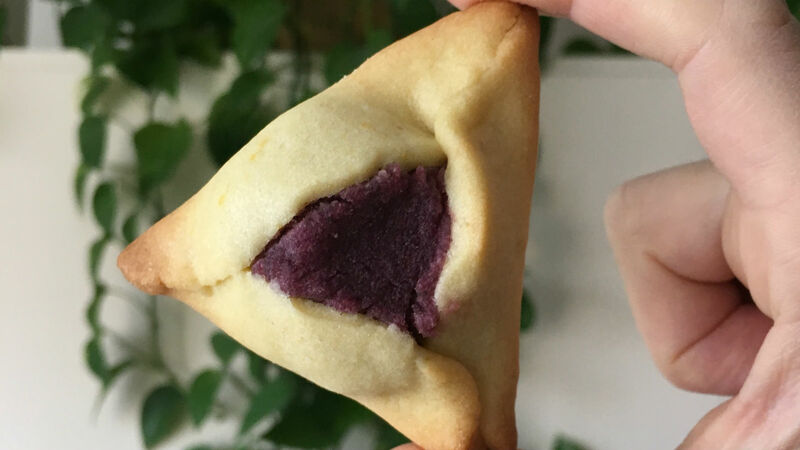 She used Tori Avey’s simple hamantaschen dough (though you can use any classic hamantaschen dough like this one) and used a jar of ube jam as the filling. Sweet and simple. An old-world treat of fried dough topped with powdered sugar. When Jewish women get together, delicious things happen.